Experience the most beautiful places in the world in the driver’s seat of a Porsche with the Porsche Travel Experience. Every drive in a Porsche is an adventure, but for those who seek the thrill of the unrestrained journey Porsche doesn’t fail to exceed those desires. 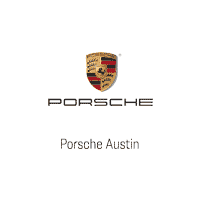 The Porsche Travel Experience takes guests on some of the most exceptional routes in the world complete with exhilarating drives, first class hotels and selected restaurants. While Porsche offers international Travel Experiences, we’re choosing to highlight two upcoming tours in the US — Travel Experience California and Travel Experience Route 66. If you sign up to tour California with Porsche, here’s what you can expect: After a relaxing welcome at the Terranea Resort in Rancho Palos Verdes, you’ll head to the Porsche Experience Center Los Angeles for a half-day of track activities and a full exploration of a Porsche’s capabilities. Then you’ll begin your drive up California’s incredible coastal and mountain roads to Belmond El Encanto in Santa Barbara, through Big Sur and Pebble Beach to Carmel, into Napa Valley’s wine country to the Indian Springs Resort in Calistoga, before closing out at the Scarlet Huntington Hotel in San Francisco. Celebrate the end of your trip with a dinner party reflecting on the past days and the utterly unique experience you have shared. Equally beautiful and thrilling is the Porsche Travel Experience along the famous Route 66. Beginning in Scottsdale at the Andaz Scottsdale Resort and Spa, you’ll travel through incredible desert mountain views to Winslow and the historic La Posada Hotel. From there, enjoy the views to the Grand Canyon, before winding the serpentine roads of Sedona and mystical Red Rock region. Explore the hiking trails, eclectic shops and the resort at Sedona, then experience the iconic Route 66 town of Flagstaff for an afternoon. Departing Sedona, absorb the thrill of the curves and switchbacks from Jerome to Prescott, cutting through the steep sides of the Mingus Mountain. Land in Scottsdale for a final dinner party celebration where you’ll toast to the six nights and five incredible drive days that have comprised this trip of a lifetime. The best way to live without regrets is to do the things you dream and the Porsche Travel Experience is a dream that surely does not disappoint.